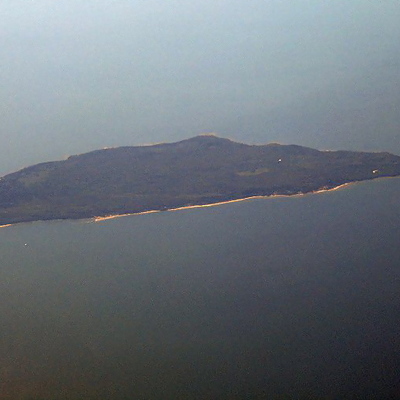 The main venue for Camp Pixelache is Naissaar (formerly Nargen, Nargö), an island located near Tallinn, 10 km away from the Estonian coast. 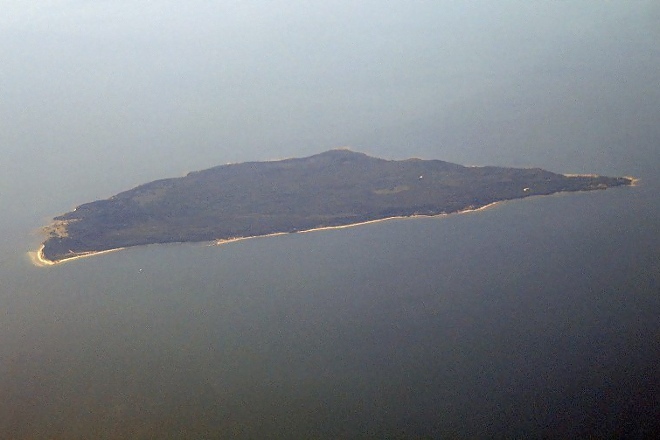 The island was rumoured to be “Terra Feminarum” (the island’s Estonian name literally translates as ‘island of women’) but had until WWII a historic Estonian-Swedish fishing community. The island’s military history still leaves its traces in tangible and intangible forms: military buildings, sea-mine relics, heavy minerals, and a vague 3-month period following the October Revolution when it was declared an anarcho-syndicalist autonomous republic. Closed as a military island during the Soviet period, the island has a few dozen permanent residents, boosted in summer time with many visitors, a classical music festival, and is a place to respect as an Estonian nature conservation area. The venue area/buildings we use have their limitations, including slow internet (limited 3G), only about 3kw of electricity (via solar panels), and access only by ferry, but thats is also what makes it so charming, and a perfect place for a Camp. The event itself will take place in the concert hall built by the well-known Estonian conductor Tõnu Kaljuste, right on the spot where Bernhard Schmidt, inventor of the Schmidt telescope was born. It takes about 40 min to reach the hall from the harbour on foot. Camp Pixelache 2013 is held on 18-19 May. 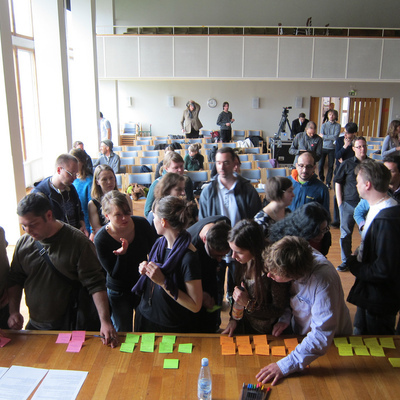 Except for the keynote lecture planned in advance, typically like at unconferences, the agenda will be created by the attendees at the beginning of the event. Anyone who wants to initiate a discussion on a given topic can claim a time and a space. Our curated themes for the Festival are emerging as Creative Development (North-South, Tallinn-Helsinki & other relations), Virtuality, Resonance, Anti-disciplinarity, Waste, Techno-ecologies, and Control. Welcome to be inspired by these or introduce other topics into the Camp! We have invited Mary Mellor to give a keynote presentation on Naissaar. Mary Mellor is a Social Science Professor atNorthumbria University, Newcastle upon Tyne (UK), who has a long-standing interest in alternative, green and feminist economics. Within the concert hall and related buildings open workshops can also be organised.